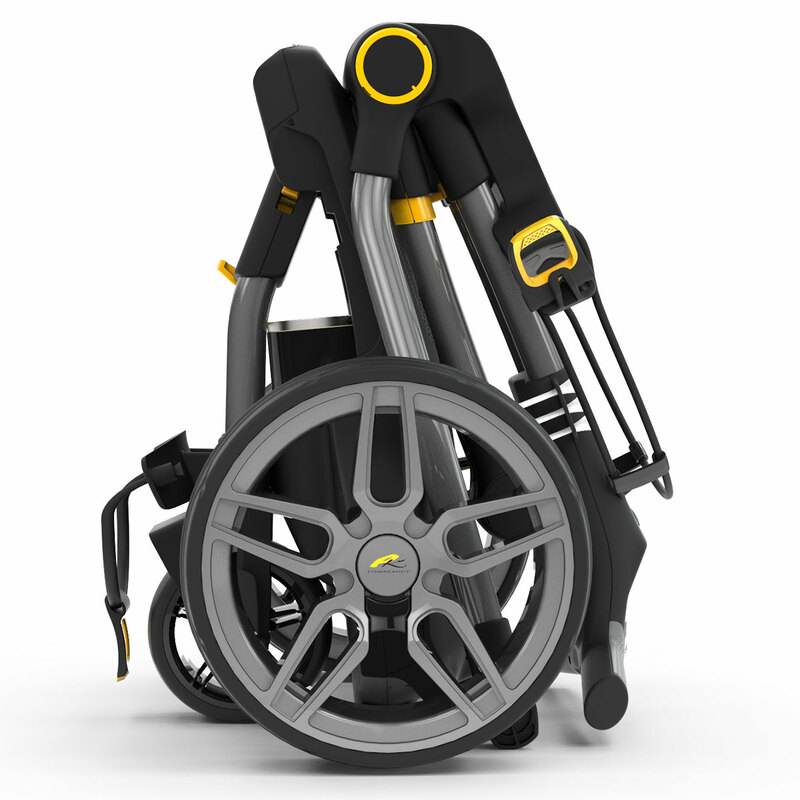 Simply put, this trolley is the easiest to use compact folding trolley in its class! So easy, in fact, that it can be opened and closed from as little as 2-3 seconds. 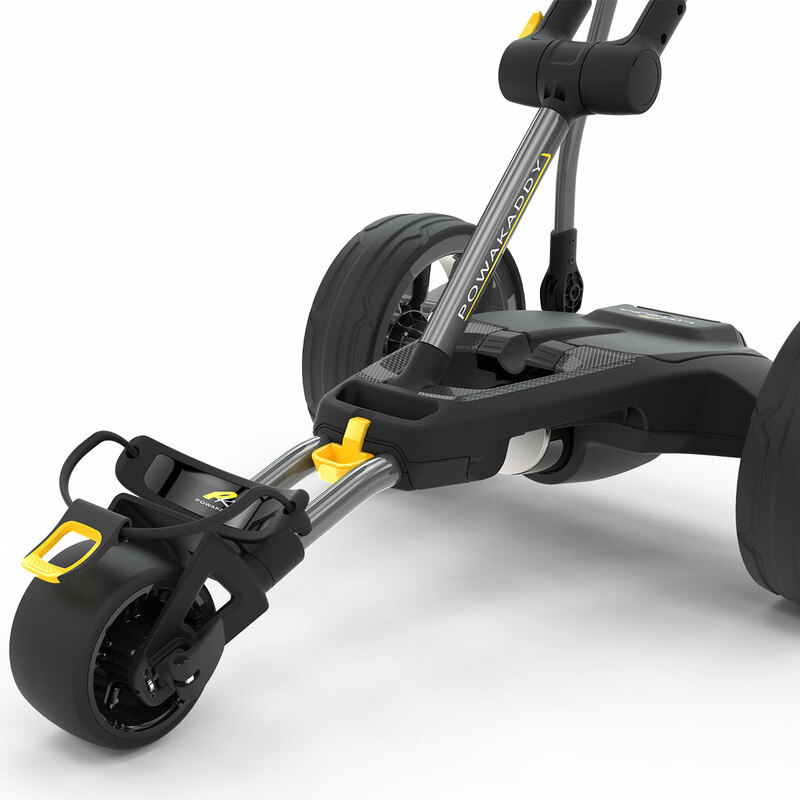 It is also incredibly lightweight with a lithium battery that is 40% lighter than its nearest competitor. 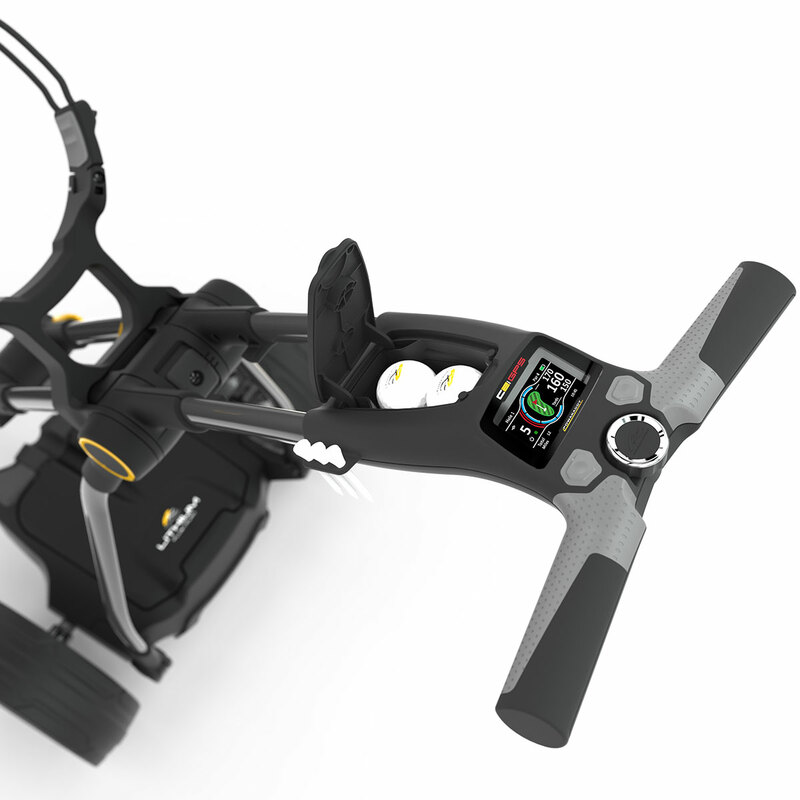 New for 2019 is a 2.8” MIP LCD mid-size widescreen display giving access to a fully integrated GPS, giving you all the information you will need to over 37000 worldwide golf courses. 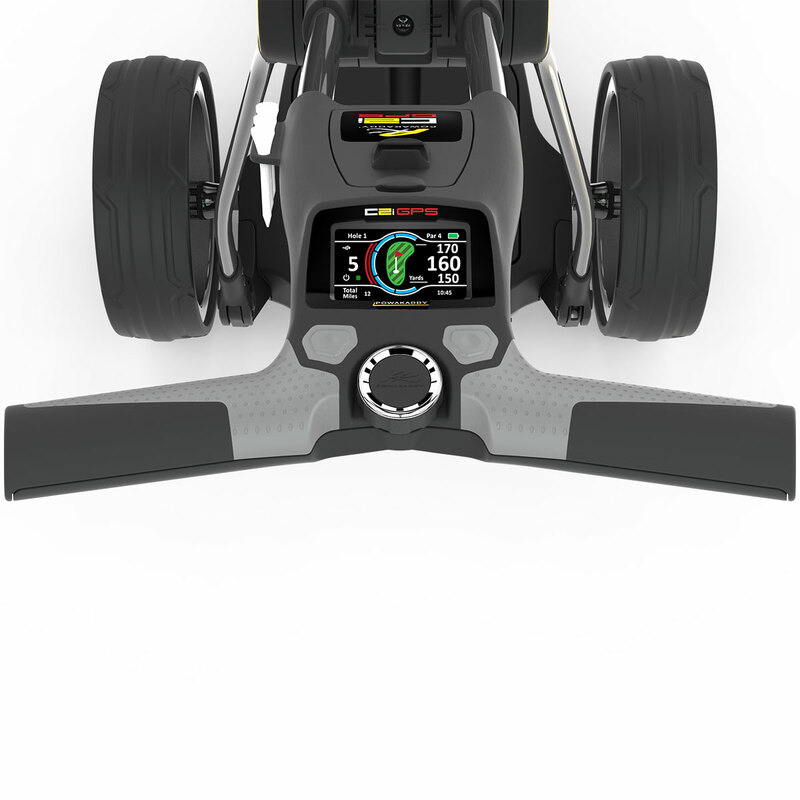 This is where you will also see features like the digital power gauge, battery fuel indicator, automatic distance control and USB charging port, with an improved accuracy speed controller. 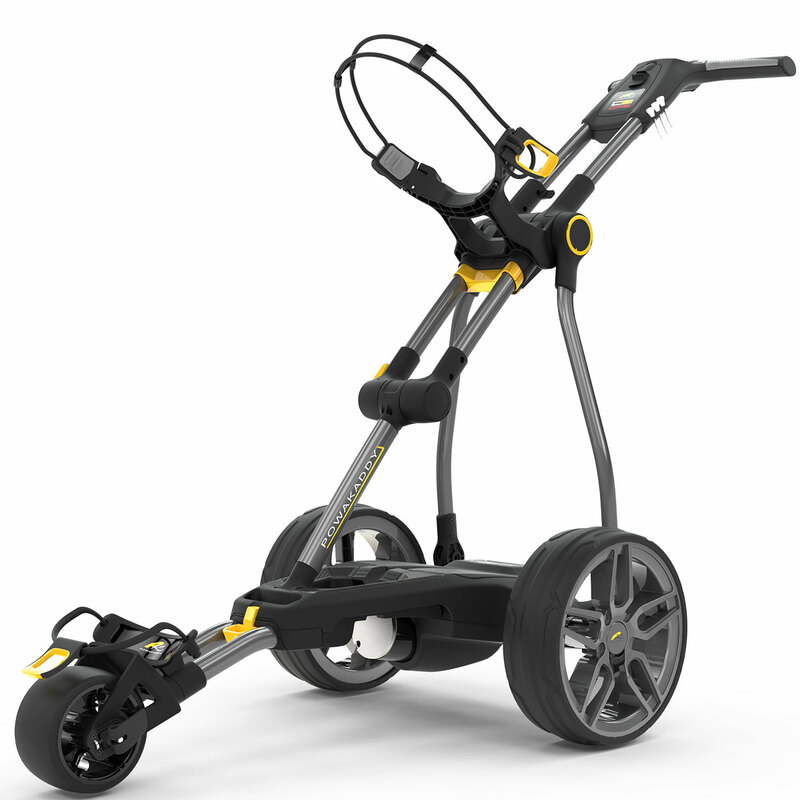 This trolley is built around a high performance low profile PowaFrame chassis which looks stylish and protects vital components. 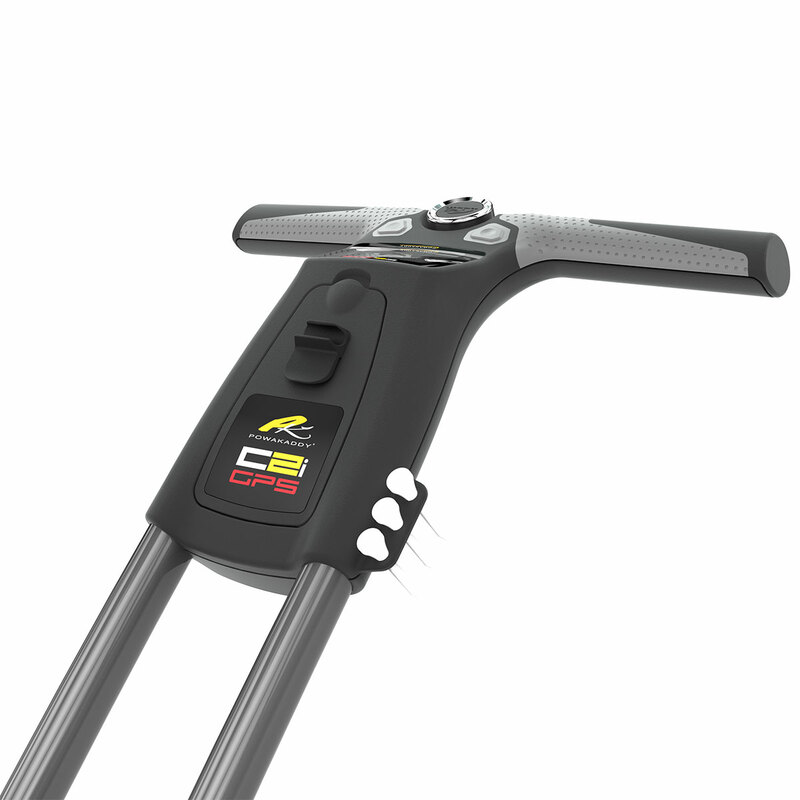 It is easy to clean and offers you the optimum ground clearance. 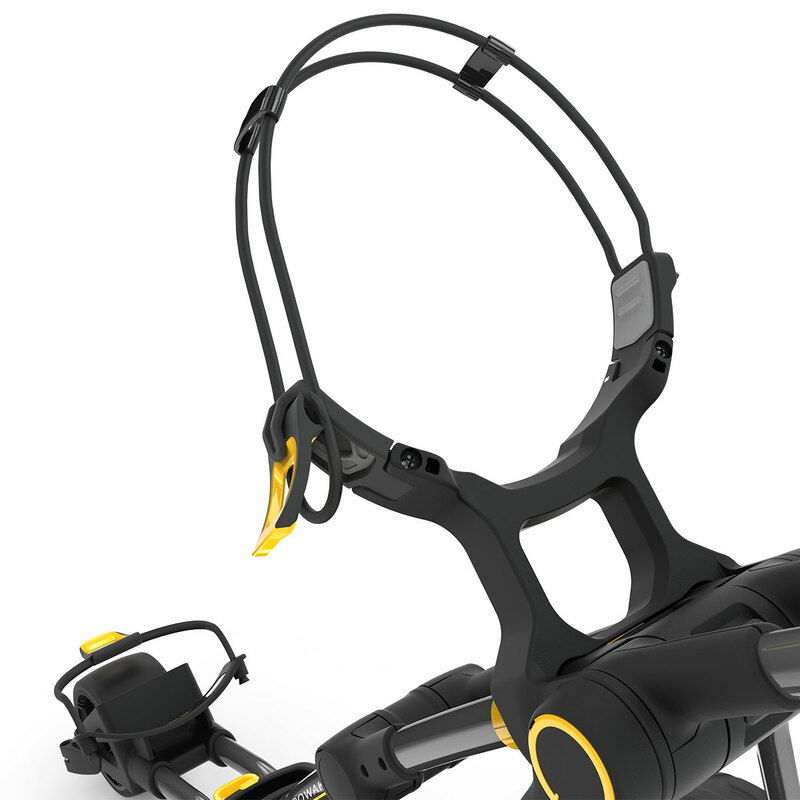 The soft touch handle is ambidextrous and height adjustable giving you the ideal settings to keep you comfortable. 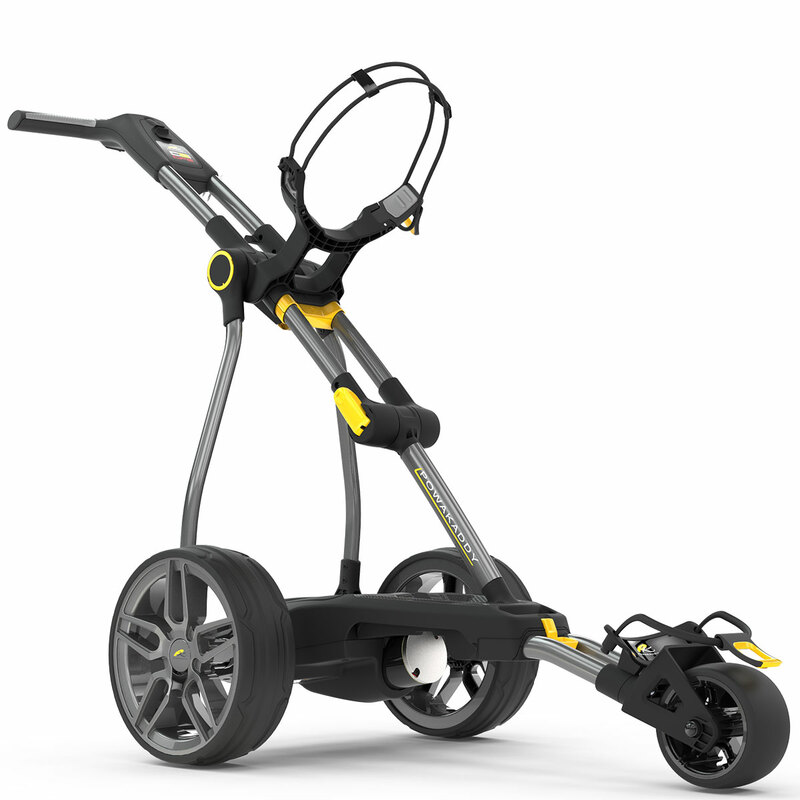 Stylish rear diffuser and enhanced trims give a high gloss design to match the trims on your trolley add a sporty touch and the new low profile wheels and tyres with enhanced trims ensure quiet running on hard surfaces and easily removable for extra storage space. 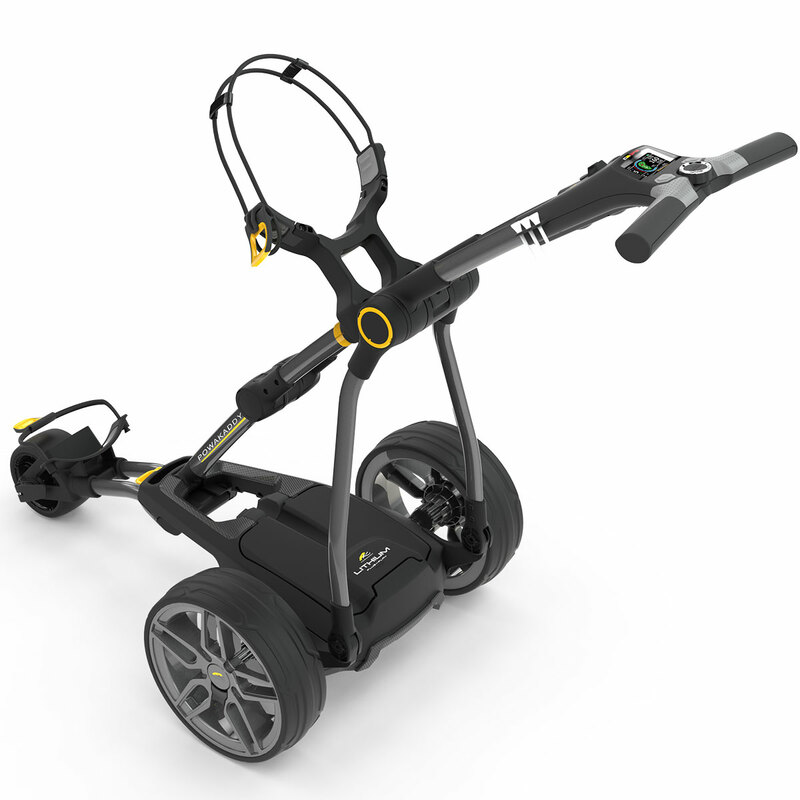 Lithium is now the best battery for golfers thanks to lasting up to 5 times longer than the traditional lead-acid variations. 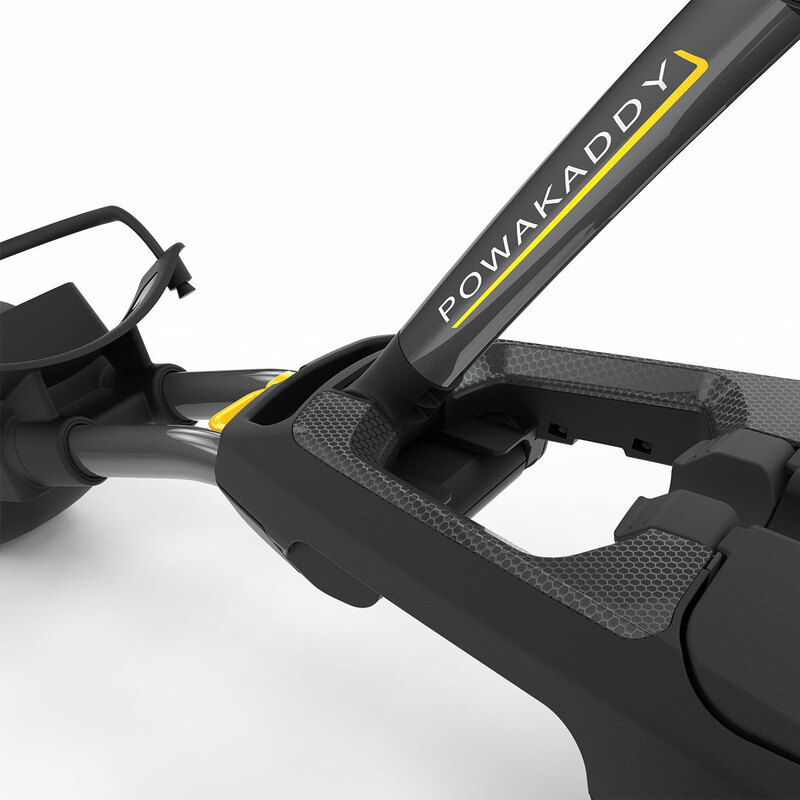 Extra benefits of the PowaKaddy is there all fully plug and play, and come with a full 5-year guarantee for your peace of mind. 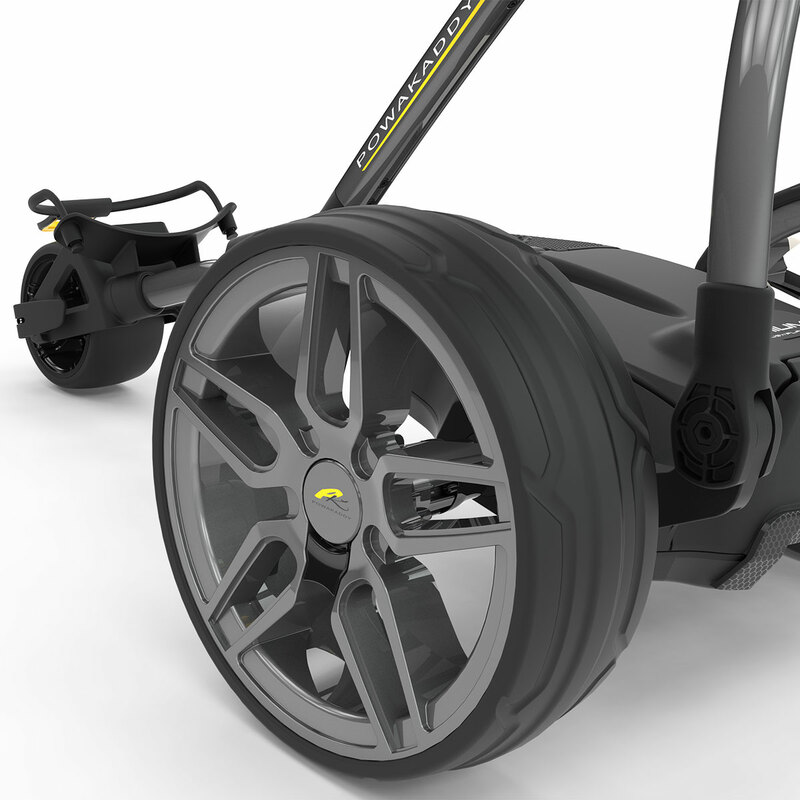 These lithium batteries are also 40% lighter than PowaKaddy’s nearest competitor making them easier to transport. 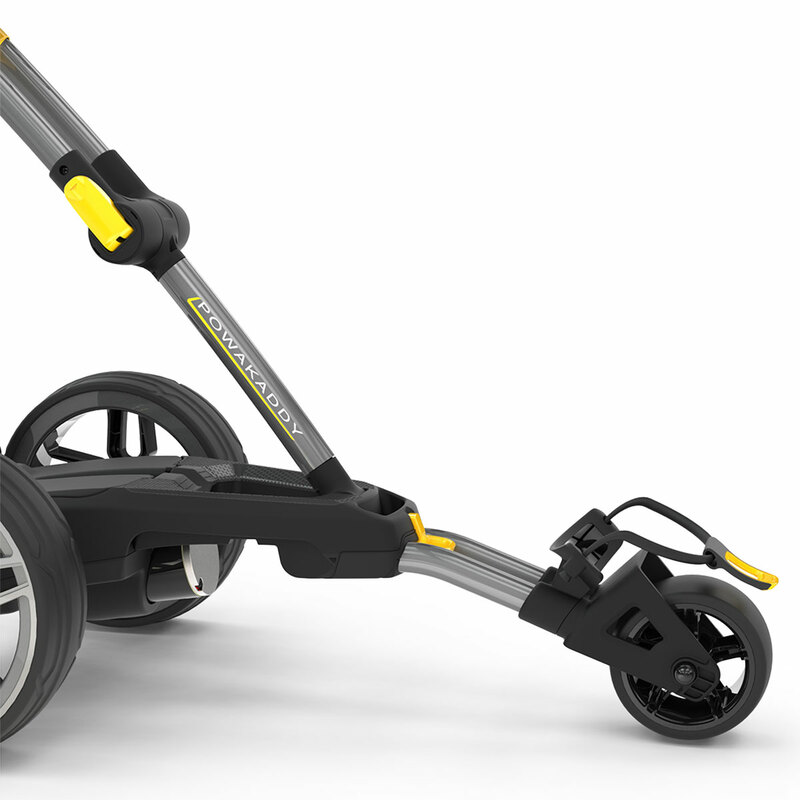 To reduce noise pollution, PowaKaddy has introduced technology to reduce the level of noise generated by their trolleys. This has rewarded them with the Quiet Mark approval reward associated with the UK Noise Abatement Society foundation.